Why do I bother buying the newspaper? I can't vote in Sweden because I'm an American citizen. I'm not allowed to vote in the U.S. because you have to have been a resident for at least a year within the election year. All I'm allowed to do is to vote in the municipal election (in Malmö, Sweden) though and that's got to count for something, right? There WILL be music here. I'll put out a song for you from "You" Is More Me Than "I". I'll see if I can get this sorted out this forthcoming week. 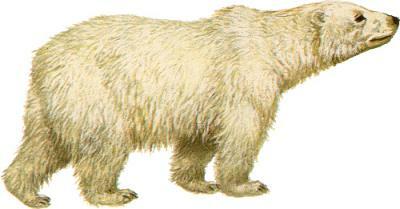 Here's a Polar Bear for ya! hi sara! nice to see you blogging! yeah, the things happening in the world bothers me too... like that violence outside Paris. When will it stop? It's so depressing. i'd just love to hear some more of your music, i remember you doing a marvellous cover on Melanie´s "Brand new key", it was breathtaking! Well that's all for now, I keep reading this blog!